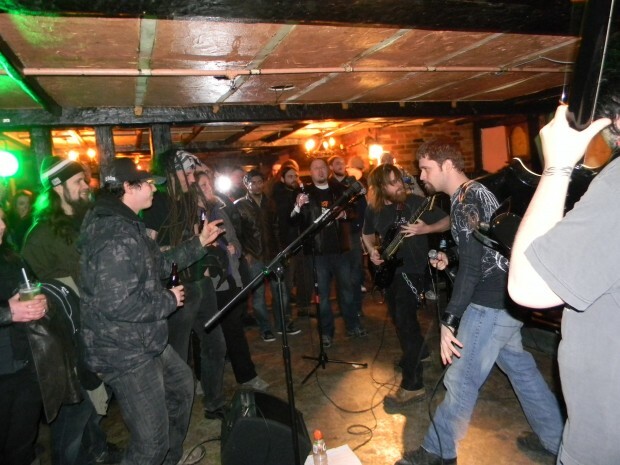 Friday night The Coach and Horses was full of metal bands who put on one hell of a show to an appreciative crowd. 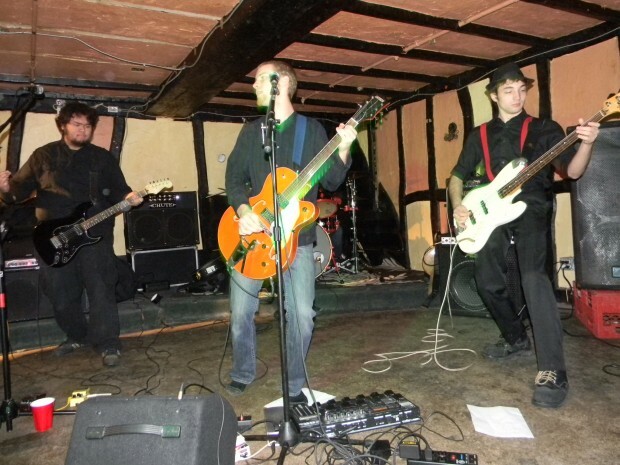 Kicking off the night was Awake To A Dream, whose song The Importance of the Bass Guitar can be heard on the January Windsor Zene Sampler. 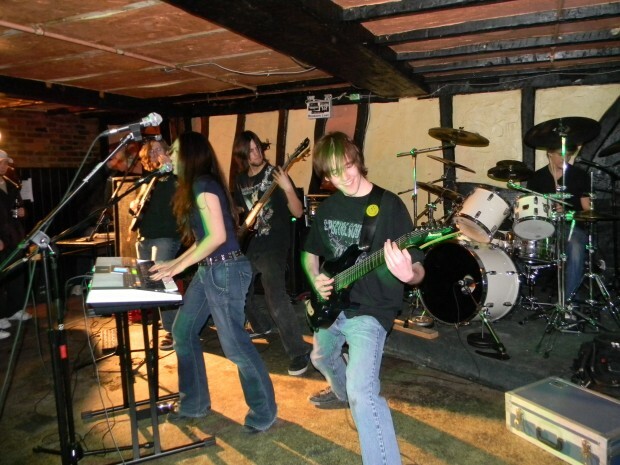 This four piece band played some heavy rock tunes to an enthusiastic crowd. Prior to this show I had only heard of them via the previously mentioned sampler, and was rather surprised and impressed with what they brought. Even their ambitious cover of Dio’s Holy Diver was quite good; not an easy achievement. Next on the bill was Perpetuate, who brought in quite a crowd. Heavily flavoured prog rock featuring synth and female vocals, I’m sure these guys have in the past been compared to Lacuna Coil and Within Temptation, but I would put them somewhere else entirely. This 5 piece had fingers blurring on guitar necks and keys alike as their set wound through blast beats and the odd melodic breakdown, with the audience thoroughly enjoying every minute of it. Hammerdown followed, with classic and true heavy metal. The riffs were catchy and these boys sure got the hair and bodies on the floor in motion. Fans moshed with the band in the only pit of the night, as the speakers blared the kind of music that will make you drive too fast. A band that didn’t take themselves too seriously, Hammerdown sure knew how to get the crowd riled up and keep them that way. 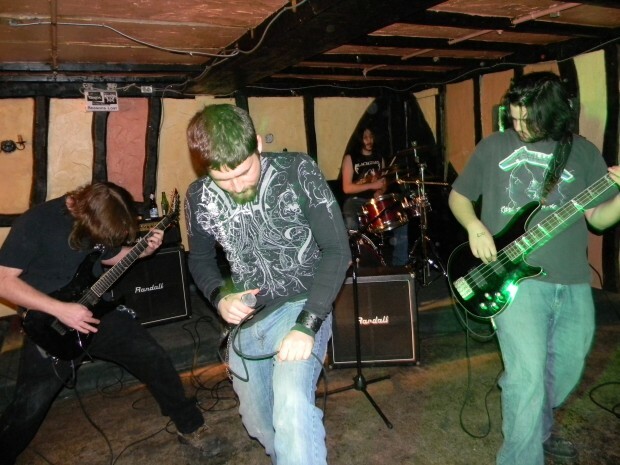 The highly anticipated re-emergence of Betrayer came next as they introduced Windsor to their newest bass player and made the debut of a song off their new album. The audience couldn’t get enough of it, throwing the horns in the air as they sang along to covers of The Trooper and Symphony of Destruction. 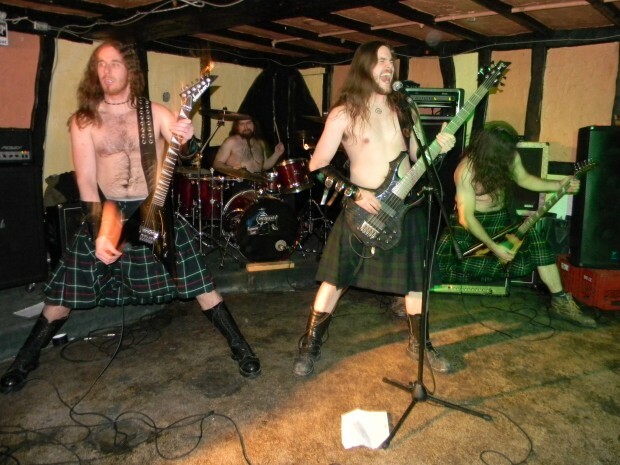 The night was closed by London band Battlesoul, as these kilted and shirtless men dominated the stage with windmilling hair and leather gauntlets. With a sound like Eluveitie minus the hurdy gurdy, they had driving and heavy guitars that weren’t lost in distortion and pounding drums keeping a steady beat. But did they wear their kilts as a true Scotsman should? Fortunately, the crowd wasn’t made to find out.